How Long Do You Have to Cash in a Life Insurance Policy After Death? 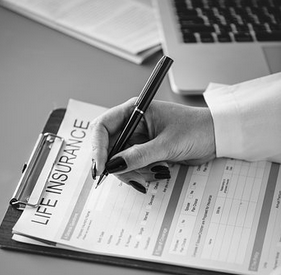 Losing someone you love is hard enough, and not receiving the individual’s life insurance policy death benefits in a timely manner can make it that much harder. While there is no time limit for claiming life insurance death benefits, life insurance companies do have time limits they must adhere to when it comes to paying out claims. It is usually very uncommon for large companies to not pay within 30 days of an insured individuals death. It is extremely rare for an insurer to take longer than 60 days to pay a claim, and if all documents are in order and the claim is pretty straightforward, then the claim should be processed and only take around 10 to 14 days. Pinning an exact amount days is difficult, simply due to the amount of time that it will take depending on the company, the laws of your state, and the speed in which you provide your insurer with all of the claim requirements. Having said that, there are ways to try and make sure that you get your claim within the timeframe needed. You do not have to file a claim for a life insurance policy within a certain timeframe. In fact, the life insurance death benefit will usually grow with interest until the claim is filed or the life insurance company can find the beneficiary. The ever-growing death benefit, along with state laws mandating prompt payment of life insurance money, usually force life insurers to act quickly in issuing payment. Each state has a different set of laws that regulate life insurance companies differently. This is why you need to read and understand the laws of your state and interpret how they handle these claims. Each state has separate rules with a set maximum amount of time that a life insurance company can take to pay a claim, but most companies will pay must faster if there are certain steps that are taken. There are steps that you can take you to ensure that you as a beneficiary will have your death claim paid within the timeframe that you prefer. It is important to make you are patient with this process and understand that not all claims are going to be paid immediately and that claims take a certain amount of time. The reason that this process may take some time is that your insurer has to make sure that the claim is valid and that you are not attempting to commit fraud. Having said that, there are ways to make your life insurance claim come quickly. Having The Death Certificate Ready – When attempting to receive your claim, you must bring a death certificate with you to show that the insured person has passed away. All companies require an original death certificate and they will not return it once it is received. It is beneficial to order multiple death certificates, that way you are able to provide an original to each of their life insurance companies. Contacting Your Life Insurance Company – The process after a loved one’s death can be extremely time-consuming, ultimately leaving you so busy to the point where you do not have time to contact your life insurance company. It still is extremely important to contact your insurer quickly after the insured person’s death. Making Sure You Have All Requirements – Once you have filled all of the paperwork requirements, make sure that all of the supporting documentation is attached to it. Insurance companies usually required a claim form, an original death certificate, and sometimes even the original policy. If you do not have the original policy, then notify the insurance company and they will figure it out with you. With these steps, you should be able to easily have the benefit issued to you quickly and in the time frame that you are seeking. A Claim Happening During a Contestable Period – After the first two years of a policy being issued, then this period is known as the contestable period. When a claim is filed underneath the contestable period, then your insurer may choose to review any of the individual’s medical records further. The insurance company will make sure that everything on the insurance application is true, and that the insured person did not lie or misrepresent any facts. Your Documents are Not in Order – Another common reason that you may be slowing your claim down is due to not having your documents in order. It is essential to ensure that all of your documents are filled out completely, you have the original death certificate ready to go, and that any other documents needed are provided. Without this, you are prolonging the amount of time it takes to receive your claim. Life Insurance Company Has a Backlog – Most insurance companies have a department that specializes in claims that they can handle any excess capacity with ease. With that being said, there are times where a backlog could delay processing for a few days, ultimately making the claim take a little longer to receive. If you believe that your company is purposefully withholding funds from you, then contact your state insurance department as soon as possible. Overall, your insurance company should pay the claim within 30 days as long as none of these reasons are met. When it comes to how soon you need to make your claim, however, there are no rules pertaining to how long you have to cash in on a life insurance policy.